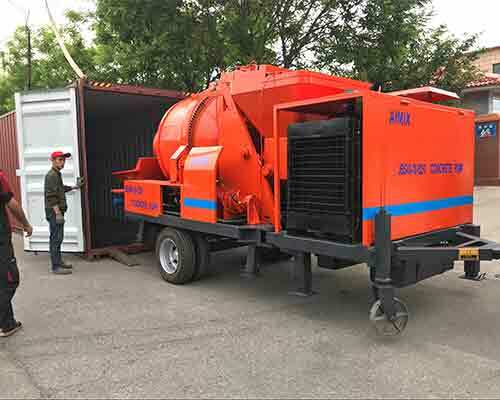 With over 30 years manufacturing and exporting concrete pumps with mixer machines, Aimix Machinery Group has developed a lot of old customers in Sri Lanka. Also Aimix has cooperated with an old clients who bought a lot of machines from Aimix and authorized their company as an agent on behalf of us in Sri Lanka. Since our design and quality of concrete pumps are of high level and very popular in Sri Lanka markets, our company often arrange our sales teams and engineers go to Sri Lanka to visit and old and new customers and help them solve some problems. What is more, we already have more than 25 sets of working concrete batch mix plants in Sri Lanka. You are always welcome if you have any requirement about construction machines.